Large gusseted front pocket for accessories. 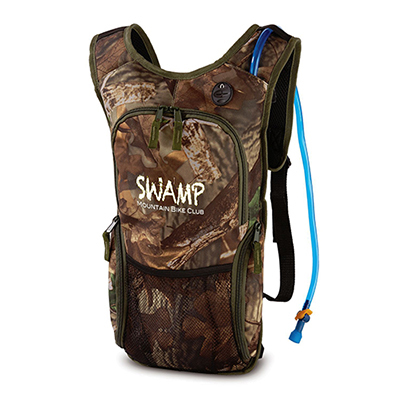 Contoured, padded shoulder strap with handy cell phone pocket. When it comes to marketing your brand for special occasions, then it must be done in style. 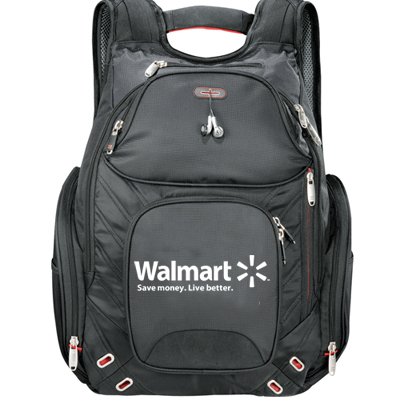 And, branded Large Pocket Backpacks will help you achieve your goals perfectly. 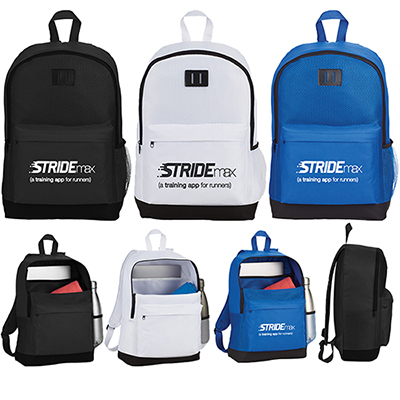 These bags are durable as they are made of Mini-Hexagon Ripstop nylon and 600d polyester material. You can choose from 4 different colors: Red, Purple, Black and Royal. 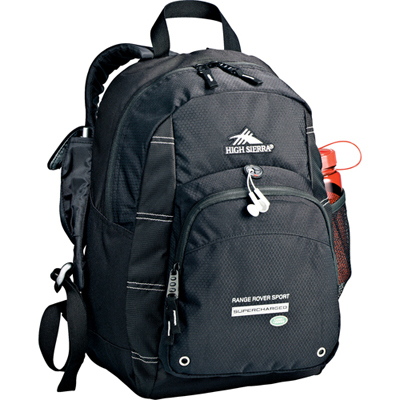 The promotional High Sierra Impact Daypacks feature a large front-load compartment, portable media player pocket with molded headphone port, pen pockets and key fob. It also has two silver grommets in main compartments for air circulation. Make the most of these bags by booking your order today! A backpack for tech savvy people!